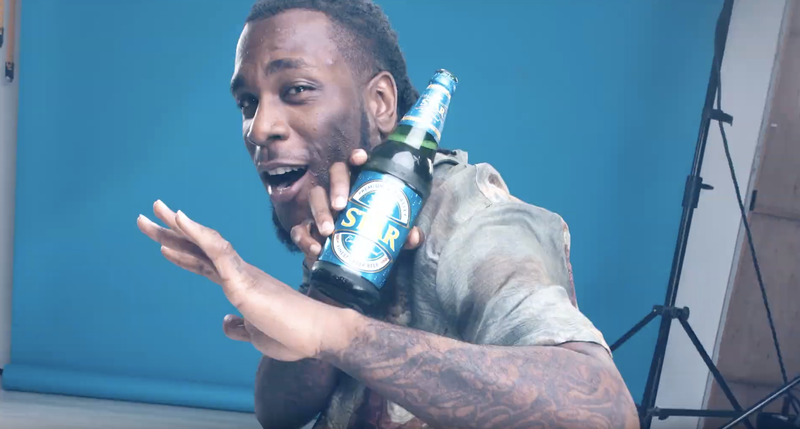 Star has just surprised fans and consumers with an all new commercial which features its new brand ambassador, Burna Boy. Burna may be Nigerian music’s bad boy, but you have to admit, he has one heck of a dreamy smile. It’s no surprise he’s got Steflon don drooling all over him. His charm and charisma are on full display in this new ad and his electric smile just elevates the entire commercial. Awesome stuff! Every great commercial is accompanied with a great jingle, and this is no exception. In this new ad, Burna not only stars but he also sings, with his impressive vocals and catching melody accompanying every scene. Themed around one of Star’s payoff lines – “Come to the brighter side”, the jingle is very reminiscent of some of Burna’s older tracks but also unique in its delivery and extremely catchy melody. We likey! Colors have a way of making an impression on you, and the clever use of colors in this new commercial should be praised. Star has been repping the classic blue hue since we can all remember but never before have I seen a Star ad that applies the blue color in a way that is both subtle and remarkable. Often we see brands overdo it and use colors in very unnatural ways. However, Star gets it spot-on, utilizing the blue color only where necessary, never allowing the shade to overstay its welcome. Blue, definitely, is the new black. In another instance, this actually may have come off as cringe-worthy, but maybe it’s Burna’s charm, Star’s brand affinity or just our love for music and dance, but somehow the scene where Burna starts to Zanku may just be the best part of this ad. Besides, it wouldn’t be a great Nigerian commercial if we didn’t see some energetic Nigerian dancing, so Gbe body e! Let’s be honest Burna looks a happier man since he and Steflon Don became an item. 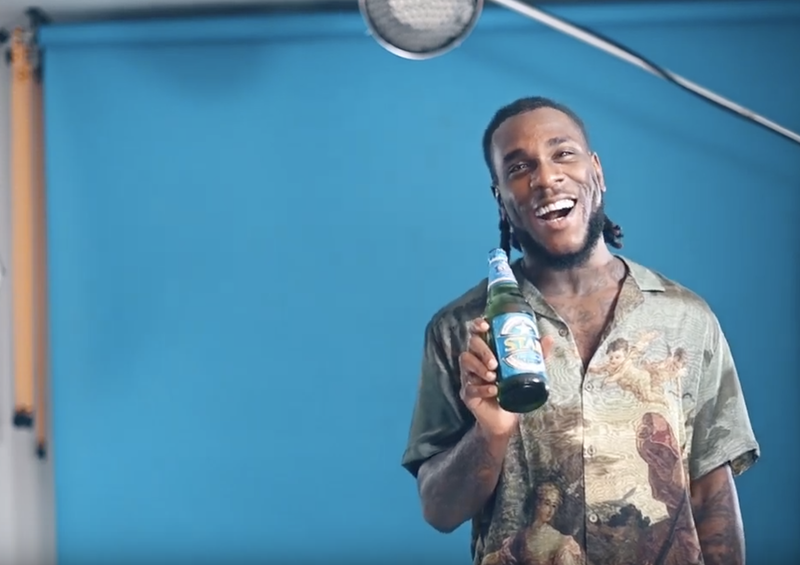 His love for his British bae has been on full display in the last few weeks and it’s no surprise Burna was in such an upbeat mode all through the ad. This may be a stretch but we can bet our last dollar that Steflon Don was probably behind the scenes cheering her boo all the way. Their love seems to be going on strong and they are certainly not keeping it On the low. 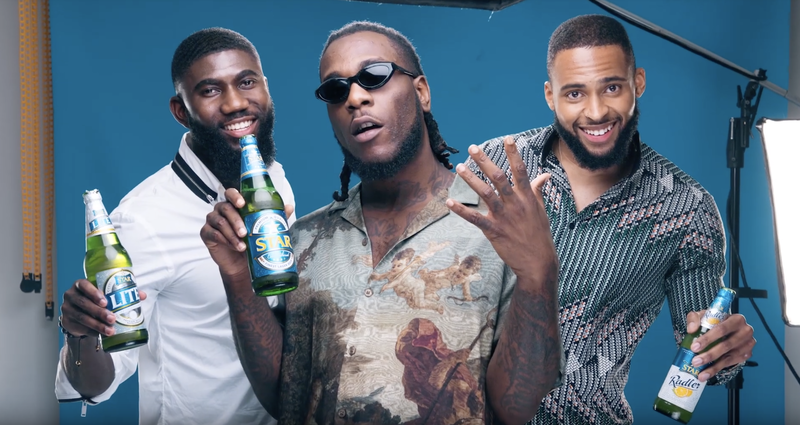 As far as TV commercials go this was certainly a good one and if Star and Burna boy’s partnership means we will be getting more content like this, then I’m certainly coming to the brighter side.